Task: to create a user-friendly corporate communication management interface. 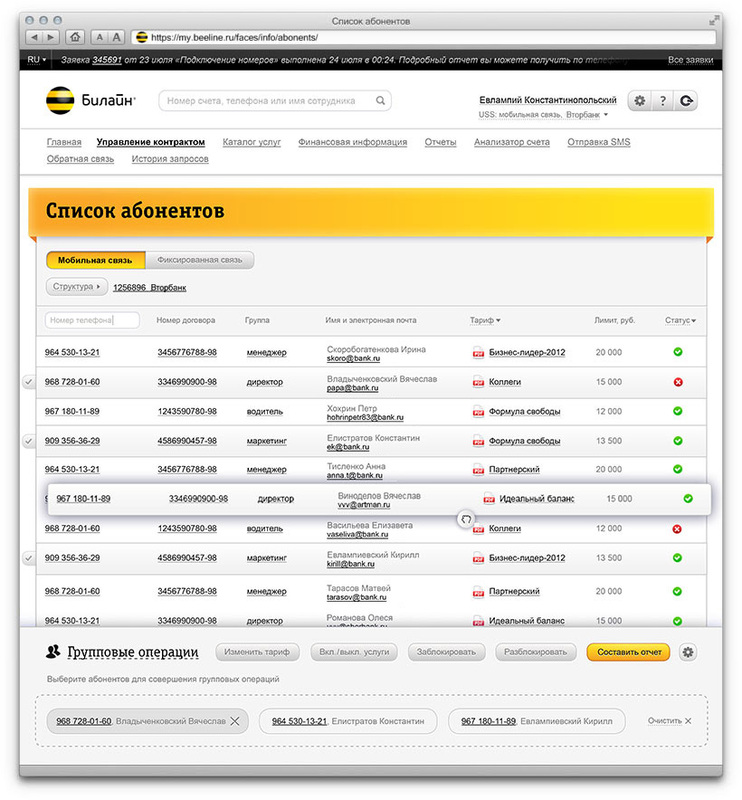 The communication services management interface is created for Beeline corporate clients. Administrators in companies in charge of mobile communication of their employees have to manage hundreds and thousands of mobile numbers attached to different contracts and billing groups, as well as landline services that can also be geographically and legally distributed. A user-friendly interface that would make these complex tasks easier was created at the studio. The ability to create custom user hierarchy simplifies the job of administrators. The ability to apply standard operations to any number of subscribers saves time. Bill itemization and comparison are presented in the graphic form.